There’s very very little chance that we could say ‘no’ to an invitation to spend the day at a beach club. We are not precisely party-animals, but we sure love to have some mojitos by the sea and just lay down and relax. And as you are in Mallorca, you probably are aware that there are a lot of fun beach clubs to go to. 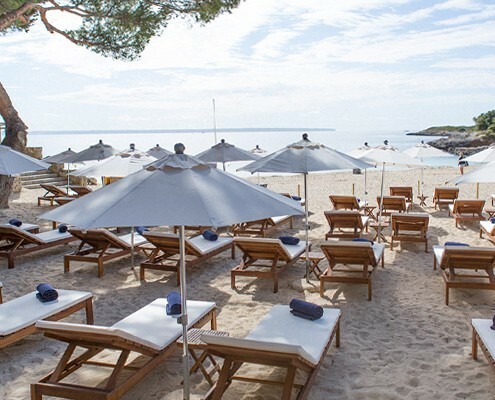 It’s true that you’ll find all kind of beach clubs all over the island, but as you’re staying at Nakar in Palma, we make it a little bit easier for you and tell you what our favorite beach clubs near Palma are. So, cheers! Purobeach Palma: with a 180 degree sea view, Purobeach Palma is a Mediterranean hangout by the sea and a lifestyle concept with food & drinks, lounge, terrace, pool, and spa treatments for you to enjoy. 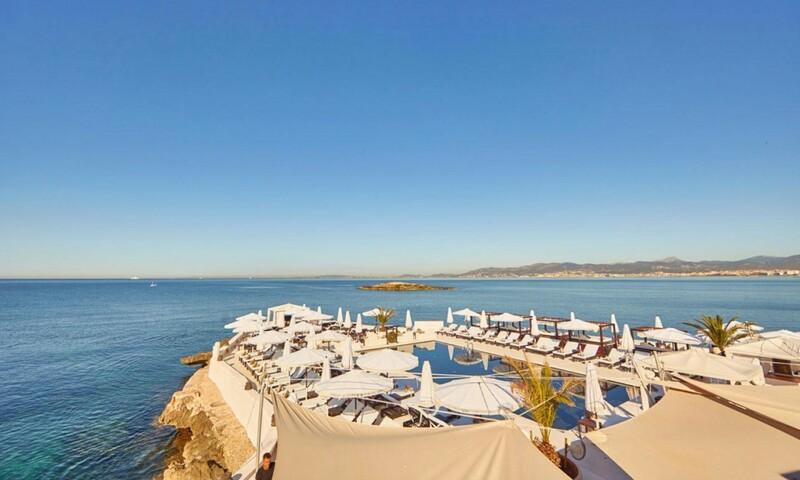 What we love about Purobeach Palma: watching the sunset with a cocktail on their terrace. Anima Beach: this beach club is located a 10 minute walk away from the city center. Open from 10.30h in the morning until 01.00, Anima Beach has become a place to get away from the daily routine but still hanging out right in Palma, which makes it perfect for our guests to go and visit! Balneario Illetas: the Illetas beach is one of the most beautiful beaches near Palma (check out our ‘best beaches near Palma’) and that’s why we love Balneario Illetas. 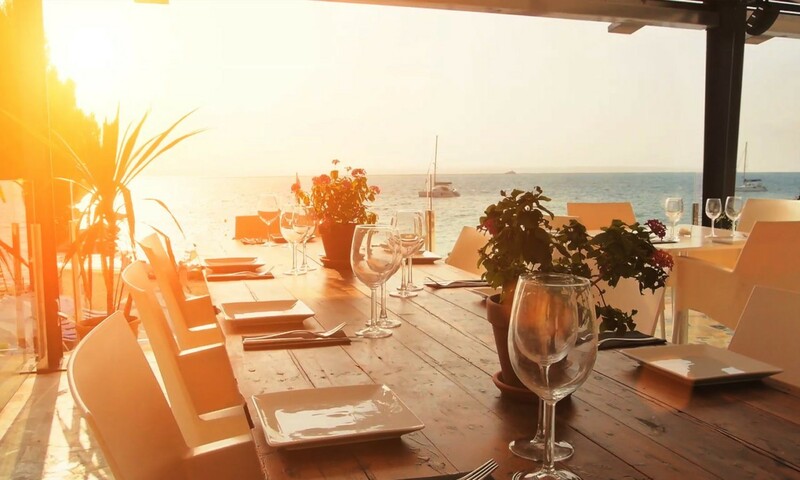 This layed-back yet elegant beach club offers Mediterranean cuisine committed to simplicity and quality. What we love about Balneario Illetas: renting one of their premium sun beds and spending the day enjoying some cava and fresh fruit. 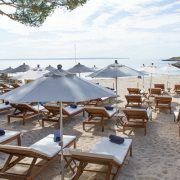 Gran Folies Beach Club: even if Gran Folies is located in Andratx, which is about 20 minutes away from Palma by car, we had to include it in our list, because this beach club just gets it every time. 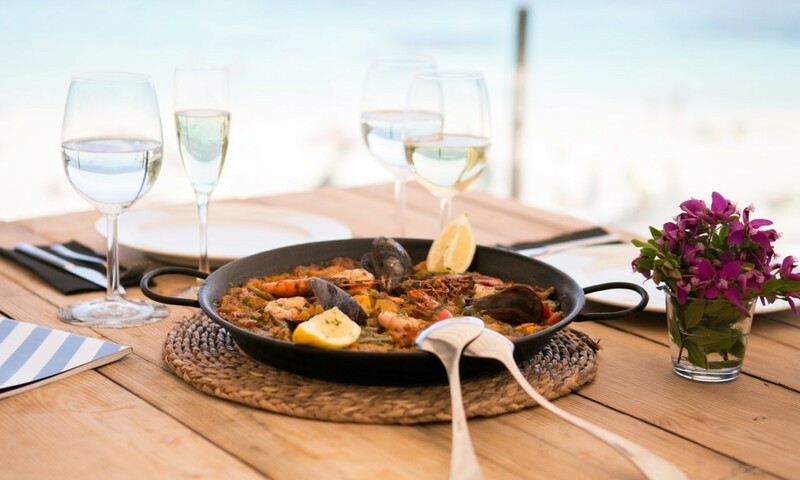 At Cala Llamp, both bar and restaurant at Gran Folies are inserted among the rocks only to offer a private beach club experience with spectacular views over the bay. What we love about Gran Folies: diving into the swimming pool after taking a bath int he Medtierranean sea!